Each day in the United States, nearly 1,300 youth under age 18 use smokeless tobacco for the first time (including chewing tobacco or snuff). Our health experts are online now—ask them what this does to your mouth! If no one smoked tobacco, at least 88 million Americans could breathe freely without any exposure to secondhand smoke. Our experts are online right now and can tell you how secondhand smoke can affect your health. If you know someone who has recently quit smoking or is trying to quit, you can share facts from this website with him or her: http://smokefree.gov/. Above all, be sure to let that person know you’re proud of his or her decision to become smoke-free. Some people think becoming addicted to a drug is just a character flaw, but it’s not. The first time people use drugs, it’s usually a conscious decision. But once people become addicted, they are dealing with a difficult brain disease. Although we know what happens to the brain when someone becomes addicted, we can’t predict how many times a person must use a drug before becoming addicted. A person's genes and the environment each play a role. We are all different and unpredictable, so any use is risky. Research shows that brain development continues well into a person’s twenties. Alcohol and drugs can affect this development and contribute to a range of problems. Repeated drug use can reset the brain’s pleasure meter so that without the drug, you feel hopeless and sad. Eventually, everyday fun stuff like spending time with friends or playing with your dog doesn’t make you happy anymore. NIDA’s 2015 Monitoring the Future Survey showed that about 12 percent of 8th graders, 25 percent of 10th graders, and 35 percent of 12th graders used marijuana at least once in the year prior to being surveyed. Congratulations to all the other teens making healthy choices! Research shows that about 9 percent of users become addicted to marijuana, but this number increases to about 17 percent among those who start young, and 25 to 50 percent among daily users. Ask our scientists about marijuana and addiction. Longtime marijuana users report being less satisfied with their lives, experiencing memory and relationship problems, poor mental and physical health, lower salaries, and less career success. Marijuana users usually inhale more deeply and hold their breath longer than tobacco smokers do, which further increases the lungs' exposure to chemicals in the smoke, resulting in irritated lungs. Marijuana is linked to problems in school. Marijuana’s negative effects on attention, memory and learning can last for days and sometimes weeks—especially if you smoke often. One major study suggests it can even lower your IQ. No, everybody is NOT doing it. Only about 20 percent of 12th graders say they have smoked weed in the past month. Research shows that about one in six of those who start marijuana use as a teen will become addicted. Younger teens are more prone to experimenting with inhalants that seem like harmless common products. A study in 2015 showed that about 5 percent of 8th graders, 3 percent of 10th graders, and 2 percent of 12th graders had used inhalants at least once in the past year. Long-term inhalant use results in nerve cells not being able to do their job, which can cause muscle spasms and tremors or even permanent difficulty with basic actions such as walking, bending, and talking. Some common household products used as inhalants to get high can have permanent effects including hearing loss, limb spasms, central nervous system or brain damage, bone marrow damage, and possibly death from heart failure or suffocation. Inhalants are among the first drugs that preteens or teens abuse. In fact, they are one of the few types of substances that are abused more by younger teens than older ones. Inhalant abuse, if continued, can become a real problem in adulthood. Did you know that mental illnesses are brain disorders? There are differences in the structure and the way the brain functions in people with a mental illness. Researchers are still trying to understand the exact causes of mental illnesses, but it’s most likely that a combination of biological, genetic, environmental, and social factors play a part. Evidence shows that mental disorders often begin in youth: https://www.nimh.nih.gov/health/topics/child-and-adolescent-mental-health/index.shtml. Heroin often contains toxic contaminants or additives that, when injected, can clog blood vessels leading to the lungs, liver, kidneys, or brain, causing permanent damage to vital organs. Using any type of mind-altering drug can affect judgment and inhibition and can put you at greater risk for HIV and other sexually transmitted diseases (STDs). 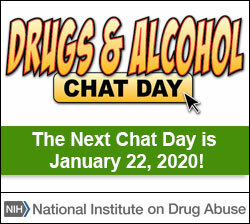 To learn the link between drug abuse and HIV, check out: http://hiv.drugabuse.gov. One dose of naloxone (brand name: Narcan®) can save a person dying from an opioid overdose. Research tells us that most teens who abuse prescription drugs get them from friends or relatives and, to a lesser degree, from their own prescriptions. Is this a problem at your school? Ask our scientists about Adderall® and other commonly abused prescription drugs, such as Ritalin®, Xanax®, and Vicodin®. Did you know that more people die from overdoses from prescription pain relievers (such as Vicodin® and Oxycontin®) than die from heroin and cocaine combined? Taking prescription drugs that aren't prescribed for you IS drug abuse. Prescription drug abuse includes taking a controlled medication (such as pain pills or ADHD drugs) without a prescription, in a way other than prescribed, or to get “high. Many people think that abusing prescription drugs is safer than abusing illicit drugs such as heroin because the manufacturing of prescription drugs is regulated, or because they are prescribed by doctors. But that doesn't mean these drugs are safe for someone other than the person with the prescription to use them. Opioids (such as the pain relievers OxyContin® and Vicodin®), central nervous system depressants (such as Xanax® or Valium®), and stimulants (such as Ritalin® and Adderall®) are the most commonly abused prescription drugs. Some people who use MDMA (Ecstasy) might feel so alert and “hyper” that they could keep dancing at a club for hours at a time and lose their sense of time. However, others can experience anxiety, agitation, faintness, sweating, or chills. High levels of Ecstasy in the bloodstream can be life-threatening; they increase the risk of seizures and affect the heart's ability to maintain its normal rhythms. Call it Molly, MDMA, or Ecstasy—teens are using it less. In 2001 just more than 6 percent of 10th graders were using it, but last year, only about 2 percent were using it. In 2015, a little more than 7 percent of high school seniors used the stimulant Adderall® (often prescribed for ADHD) for nonmedical reasons. Eating disorders affect both girls and boys, but they are more common in girls. Like girls who have eating disorders, boys also have a distorted sense of body image. Boys may have muscle dysmorphia, a type of disorder marked by an extreme concern with becoming more muscular.